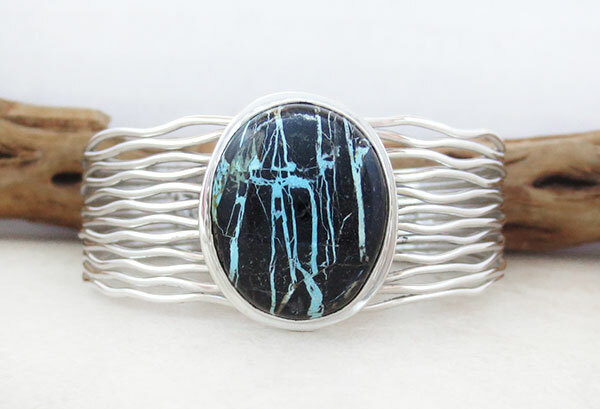 This fabulous large bracelet was created by Navajo Artist Murphy Platero. The Boulder turquoise stone is a dead ringer for Sunnyside Turquoise. 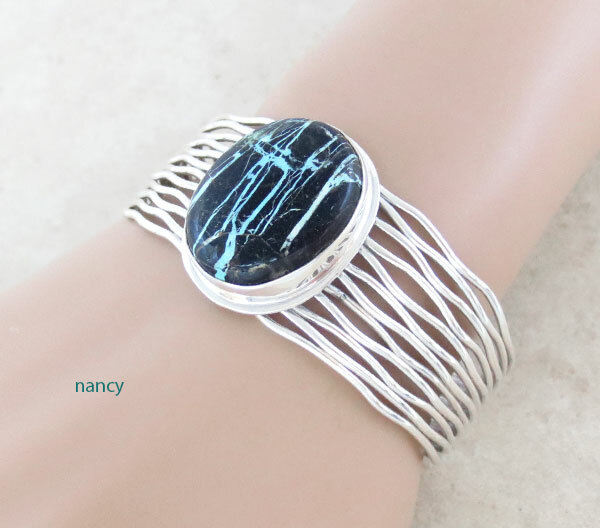 The turquoise stone black with rivers of blue. 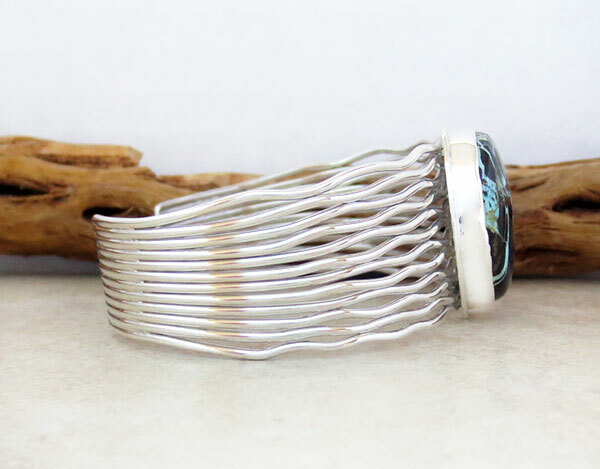 I love his signature open curvy wire cuff. It's 1 1/8" tall in the front. 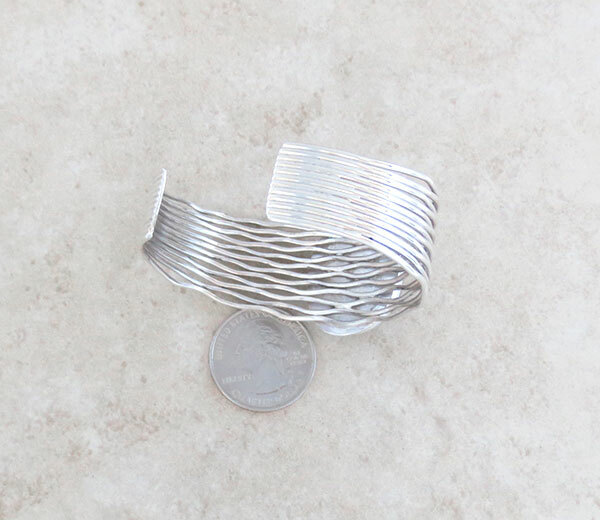 It has an inside of about 5 1/2" plus a gap of 1 1/8"
The wire cuff is 1" wide and tapers down at the ends to 5/8" wide. placed a quarter there for scale.